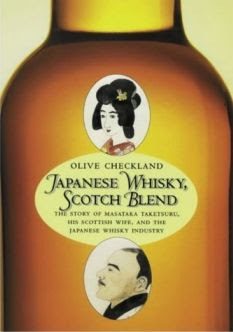 Checkland has classic material here: the true story of how one Japanese man travelled alone to Scotland and stole the secrets of traditional whisky making, fell in love with a Scottish woman, brought her home to Japan, where he made himself into a Japanese whisky baron and where she lived the rest of a life which spanned a devastating war with her home country. 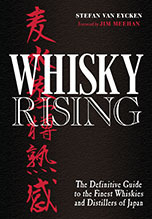 Checkland provides a great source of information on one of the key personalities of Japanese whisky history, Masataka Taketsuru. The first chapter`s account of Taketsuru`s training in Scotland between 1918 and 1920 has a depth of detail that is not rivaled in English and quite possibly not in Japanese either. Checkland cites her sources with proper academic references and bibliographies, making it very easy to follow up her work with a fresh eye. I expect to be thumbing this paperback a good deal as I try to put together a better history section on this site. There is a disappointing side to the book. Checkland was an established scholar who wrote several books about modern Japan, so I am surprised to find her general descriptions of Japan so unreliable. For instance, she quotes a campaigning political theorist's view of all women in pre-war Japan as completely dependent on men as a description of reality and continues: "Even after 1945, when some rights were granted, women in Japan were subservient and were living entirely on their men". The overall impression is given that it was almost unheard of for women to live independent lives. In fact, the ubiquity of the "Japanese housewife" was to a large extent a particular phenomenon of the latter part of the 20th century (the institution is now being undermined again). The Japan Chronicle reported that Isabel McCausland, a lecturer in sociology at Kobe college, told a meeting in March 1923 that: "56 per cent of the wage earners in this country were women, while in Germany the proportion was only 20 per cent of women and the United States 14 per cent. Among factory workers in Japan the proportion of females to males is 3 to 1" (March 8, Japan Chronicle, 1923). Many of these jobs were unpleasant and confining but to portray Japanese women as uniformly passive recipients of male financial support is misleading. It was perhaps true that upper middle class women of the sort Rita Taketsuru was mixing with were more dependent on men but Checkland does not qualify her description. This is by no means an isolated example. The text is peppered with over simplifications and misunderstandings. 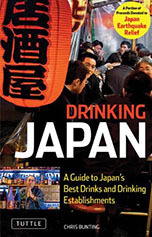 When reading Checkland, it is probably safest to ignore her descriptions of Japanese society past and present. It is more of a problem for the book that the description of the love story between Masataka Taketsuru and Rita Taketsuru is also unsatisfying. Checkland goes in for a lot of groundless speculation about the couple's motivations and intentions and has a tendency to try to logically analyse a love affair, always a hazardous thing to do. She also seems determined to make Rita into a tragic figure, which is not convincing on the evidence presented in the book. Certainly Rita went through some difficult times, especially in the four years that Britain and Japan were at war, but every time Checkland qualifies her general tragic framework with some new evidence that Rita was in fact quite happy at some time during the 40 years of her life in Japan, it makes you wonder why she seems driven to write sentences like: "Only time revealed to her the high price of the decision she had made [to marry Taketsuru]." It was a sorry state of affairs when a bottle of Grade 1 Nikka whisky could be bartered for a pair of heavy rubber boots or even a straw bag of rice. Hasn't it ever been thus? A pair of heavy rubber boots often costs more than a bottle of the best whisky [eg]. I don't know how big the bag of rice was but the larger bags down at the supermarket here rival the whiskies. This is just a trivial example but, throughout this book, you get the feeling that the author has decided what the story will be before she looks at the evidence. Despite my grouching, I am glad I have "Japanese Whisky, Scotch Blend" on my shelf. Its spine is already cracked. That, in the end, is the real test of any book isn't it?